Quite often, filmmakers use multiple cameras to shoot scenes from different angles simultaneously. The reason for this is convenience. Multiple cameras allow filmmakers to capture lots of different perspectives, giving them plenty of choice when it comes to the final cut. 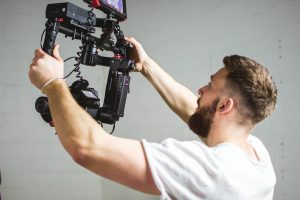 Two examples of this approach include documentary film, where one camera won’t be able to get all the best shots, and action movies, where expensive explosions need to be captured in just one take. However, in many cases, using multiple cameras is simply not possible. There are lots of reasons why this is the case, cost being the number one. What are the advantages and the disadvantages of using Single-Camera setup for Filming? Using one camera when shooting a scene allows the crew to be more focused. It also allows for specific lighting setups to be created that simply could not be used with multiple cameras. 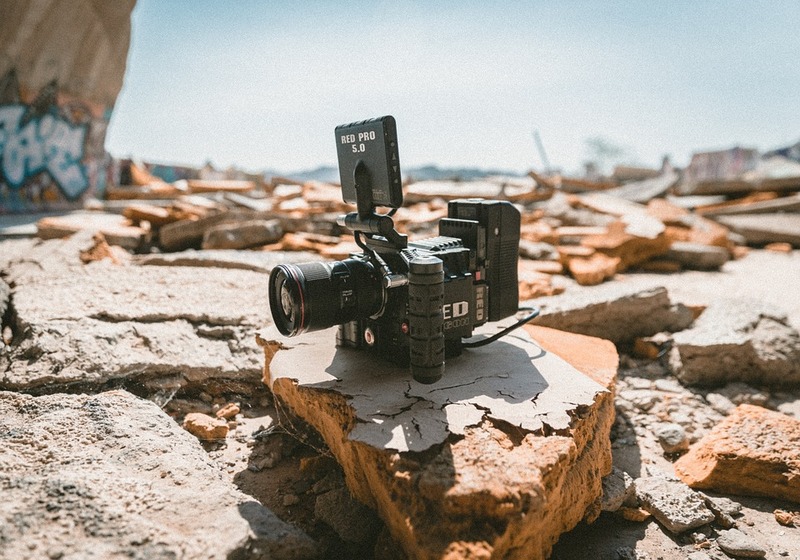 Filmmakers can save a lot of money using a single camera for the duration of shooting the film. We all know that cameras are very expensive, so using only one camera can save money. Using one camera takes more time to film scenes because you need to take multiple shots with different angles. When using multiple-cameras, you can shoot different angles at the same time. Also, as in the case of documentary films, a single camera is simply impractical as if it fails or something ruins the shot, then its game over for that scene. If your production only has access to one camera then there are techniques that you need to learn in shooting a film using only one camera. Master these techniques and you will ensure that your film is shot as best as it can be. The three main techniques in filming a movie with a single camera are “Triple Take”, “Master Scene”, and “Camera Placement”. Triple take can only be used where the cameraman can control the action. “It is done by matching and overlapping the starting with the end of each shot. In this technique, the cameraman takes and thinks about three consecutive shots no matter how many scenes are there.”- Wisdom Talkies. The advantage of this technique is that it takes less time to film scenes, but editing takes longer. The master scene technique will take a lot of time to film. Scenes are shot continuously using one camera from the same angle. The action is staged in such a way that all the required characters remain in shot. To get another angle, the actors must repeat the same scene again with the camera placed in a different position. The whole scene is filmed over and over again from different angles until the scene is captured and in the bag. It takes less time to edit these scenes. The lighting should be the same in every shot. Camera placement is essential when filming with only one camera. With camera placement, you have to make sure that the location of the camera is precise and matches the lighting setup perfectly. Being familiar with the place or set can help in the placement of the camera. Walk around and get actors in position to see where the best shots are. The mood of the scene is also important in considering the placement of the camera. If you want to create suspense, for example, heavily backlit actors look mysterious. Most importantly, nothing should obstruct the camera in a way that could be a distraction to the audience. Innovative new shots are great, but if the frustrate the audience, they are not good. Shooting a film using one camera is quite tedious. As a filmmaker, the key thing is planning. You should know your scrupt and the filming requirements of all the sequences in your film. In order for you to save time during filming, you should shoot scenes that are in the same location at the same time. For example, when there are several scenes for the particular set, although they might be in completely different parts of the movie, you can shoot these scenes together so that you don’t need to repeatedly setup lighting and other equipment over and over again. There are tricks that can be used to make one camera shot look like it was filmed with multiple cameras. 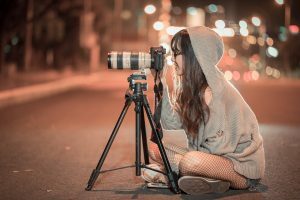 In order to do this effectively, first, you have to use a wide angle shot to cover the setting and the person in the scene. Then, after establishing the action points in the scene, you can manually zoom in and focus in the most important points. Shoot the scene in a higher resolution using a wide angle. Then, when it is time to edit the film, you can just crop the frame to focus on the points that are important. Many people believe that filming a movie often requires multiple cameras to allow for easy shooting of different angles. However, as this article has shown, it is possible to use a single camera to achieve the same results.